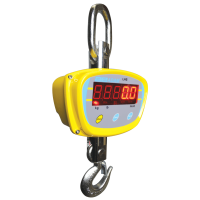 Hanging scales are light industrial weighing devices offering small weighing capacities, lower prices than other suspension scale varieties. They tend to be used regularly for weighing small to medium items such as grain sacks, bags of produce and feed bags for animals in agriculture and farming. Certain types of hanging scale can also be used to weigh fish for recreational purposes by attaching the below balance hook through a fish's gill plate. This allows the fish to be weighed securely with minimal harm. Scaletec offers a range of suspension hanging scales that are ideal for education, recreational and agricultural use. If you need assistance choosing the right hanging scale please contact us. 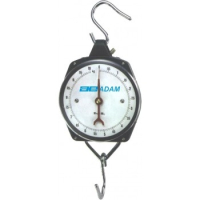 Adam Equipment's IHS industrial crane scale features robust die-cast metal housing and a rotating plated steel hook with oversized shackle to help secure loads up to 10,000kg. This scale is perfect for the suspended weighing of heavy shipping containers and fishing nets in ports, dockyards, warehouses and factories. Adam Equipment's LHS industrial crane hanging scale features cast aluminium magnesium housing and a rotating chrome-plated steel hook and swivel shackle to help the operator easily maneuver loads up to 2,000kg. Perfect for weighing heavy crates, boxes and machinery. MIF hanging scales are robust and affordable weighing scales with durable, steel hook attachment. Ideal for the suspension weighing of grain sacks, animal feed bags, fertilizer and other small objects. 30% off 25Kg and 100Kg models only - now from R535.50. Whilst stocks last. Q: Why use a hanging scale? 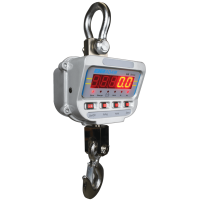 Hanging scales are versatile weighing machines ranging from pocket sized spring scales and balances to heavy-duty, industrial crane scales. Some lightweight hanging scale varieties such as the MIF are mechanical and do not require power mains in order to use and therefore lend themselves better to weighing tasks while on the move. 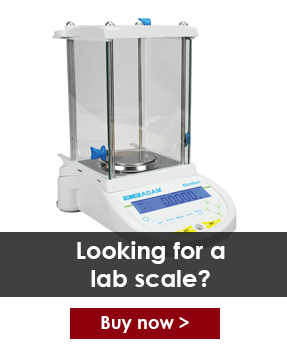 Mechanical hanging scales are usually cheaper and more robust than digital varieties. They can be used in school classrooms or warehouses without the risk of damaging the balance, or dealing with electrical mains and cables which may prove hazardous in small or busy environments.